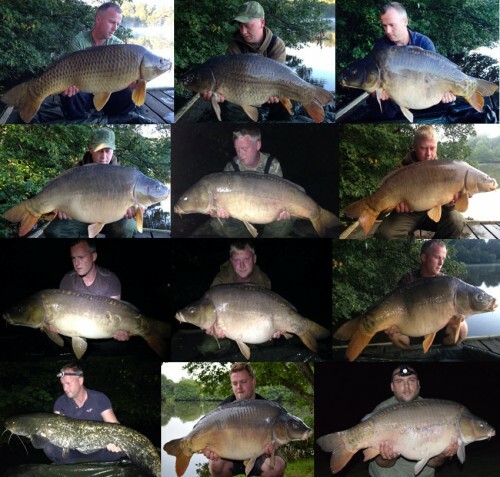 On Lac Serreire, Anthony and Jason 'Bob' Poolman from the UK had a great week's fishing doubled up in the Woods swim. 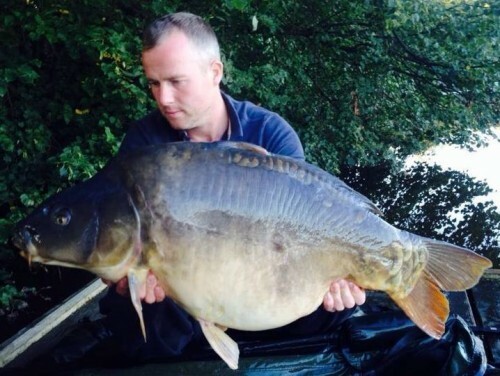 They landed 27 fish between them including 6 over 40lb (18kg) with the best 3 fish all going 45lb (20.7kg). They also included a number of good 30s, 3 catfish and a pike! Anthony and Bob did a great job by safe positioning of the baits and being right on the rods, with only one fish lost in the lily pads all week. The fish were caught on a mixture of Nutrabaits Trigga and Essential B5 boilies with most of the fish falling to bottom baits fished over Coppens pellets and a spread of boilies. In the Island swim, Lee 'Carp Slayer' Carrington had a hard week but landed a 21lb (9.5kg) mirror towards the end and unfortunately lost two. 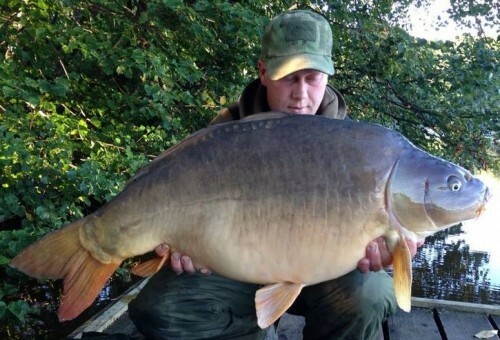 And over in the Birches swim, Kev 'Doom' Gibson had one mirror which unfortunately wasn't weighed.